Congratulations to newly elected officers …. Positions Statement: I would like to be considered for the WMEA Presidency as it will be a fun challenge and a great way to put the experience of 22 years teaching to use! I have enjoyed being a part of WMEA over the years, and finally serving on the board as technology chair for the last 2 years. My mantra of late is “service” and it is time for me to serve this fine organization and the people that are a part of it. Just vote “New Year’s STEVE”! Bio: Steve is currently the Director of Bands at the newly opened Thunder Basin High School in Gillette Wyoming. 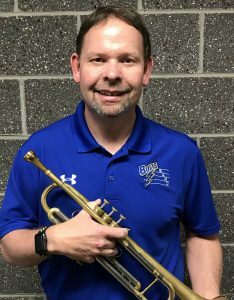 His 22 years of teaching experience include six years at Twin Spruce Junior High as director of bands and Campbell County High School for nine years, where he lead the Marching Band, Concert Band, two Jazz Bands and Percussion Ensemble to many regional and state awards. Steve also spent five years “away” from music as the Technology Facilitator. Steve is a 1989 graduate of Cheyenne Central High School, and a 1995 graduate of the University of Wyoming. Steve was recognized in School Band and Orchestra (SBO) magazine as the 2003 “50 Directors Who Make A Difference”, the Campbell County School District 2003 Activities Sponsor of the Year, as well as being the Jazz Band Director for the Wyoming Ambassadors Europe 2005 trip. Other awards include the Campbell County School District Employee of the Month in 2000 and the Fox Radio/Photo Finish School Employee of the month in 2001. Steve is the director and plays the trumpet in the Big Horn Big Band and the Coaltrane Jazztet, directs the Gillette Community Band, and plays the trumpet in the Powder River Brass Quintet. Steve has a wife who is also a Band Teacher, and three wonderful children whom he likes to spend his free time with. Position Statement: I am very proud to be an educator in Wyoming. We have some of the best students to make music with and some of the best directors to collaborate with. I believe part of being Band VP is continuing that tradition of excellence. I am excited to be a part of the All State process. As a Wyoming high school graduate, my All State experience was one of the highlights of my high school career. Some of my closest friends today were fellow musicians I met in those All State ensembles. The person and director I am today is because of music in Wyoming. I am excited to have the opportunity to serve and give back to the organization that gave so much to me as a young musician. I look forward to being able to have an impact on our All State students through selecting guest conductors that are passionate about music and will share that passion with students, while also pushing them to achieve musical excellence. What a great profession we have! Be excited as we are a key element in ushering beauty into the world through music. Bio: Zach Tolman is a 2003 graduate of Riverton High School. After high school, he attended the University of Wyoming where he earned a bachelors in music education. While at the University of Wyoming, he studied saxophone under Dr. Scott Turpen. He was a member of both Wind Symphony and Jazz l, the University’s premier concert and jazz ensembles. He performed around the country in saxophone quartets and jazz combos. Upon graduating from UW in 2010, Zach began his teaching career in Newcastle, WY. While there, he helped grow the band program as well as team taught band and choir with Jan Ellis. After Newcastle, he taught middle school choir and music appreciation classes in Casper, WY. During his time at CY Middle school, Zach started an after-school jazz choir. He coached soccer with the Kelly Walsh Trojans, which ended with a 4A Wyoming High School State Soccer championship in 2012. Zach currently teaches band in Riverton. He is Director of Bands at Riverton Middle School and Assistant Director of Bands at Riverton High School. He is on staff with the RHS Wolverine Men’s soccer team, which challenged for the 4A state title in 2016. 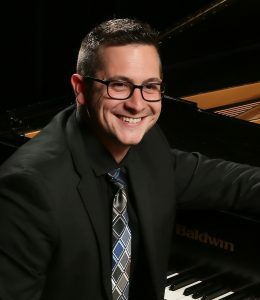 He has directed honor ensembles and adjudicated around the state, as well as served on the music staff for the Yellowstone Summer Music Camp, directing a concert band comprised of high school campers, fellow camp staff, and professional musicians. He was selected as the Outstanding Young Music Educator in 2017. He maintains an active performance schedule with both local groups and state ensembles. Zach is married to Brieann Tolman. They have 2 kids: Adelaide (5) and Brecken (2). Position Statement: I am honored to have been nominated for the position of Secondary Vice President. I believe my experience and connections in band, choir, orchestra, and elementary music make me a qualified candidate for this position in the WMEA. I understand the responsibilities therein and have the organizational skills to fulfill the tasks that would be asked of me if I were elected to serve in this position. I will strive to do my best to provide quality experiences for our music educators in our great state. Bio: Cara Sommers teaches 6 – 12 band and 9 – 12 choir at Rocky Mountain Middle and High School in Cowley, Wyoming where she is the President-Elect of the North Big Horn Basin Music District. She is a Wyoming native; having spent her childhood years in Lusk, then moving to Cody where she was a four-year All-Stater (choir) and graduating from Cody High School. She went to Casper College where she majored in music education with and emphasis on voice then switching to instrumental music education. She was a student of Dr. Pat Patton (CCC and Concert Choir), Steven Trinkle (private trumpet), and Jean Tichenor (private voice). Following Casper College, she ventured southeast to the University of Nevada, Las Vegas where she received her Bachelor of Music Education. 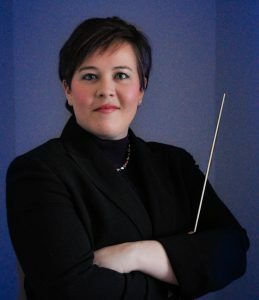 While in Las Vegas, Cara played in the UNLV Symphony Orchestra under the direction of Tara Krissa, The Star of Nevada Marching Band under Anthony LaBounty, took jazz studies with Dave Loeb, music education courses with Eugenie Burkett, and elementary music with Orff Schulwerk icon, Sue Mueller. In the summer months of her college career, Cara performed casually with the American Wind Symphony Orchestra, under the direction of Robert Austin Boudreau and was a crewmember on the performing barge based in Pittsburg Pennsylvania. Following her graduation from UNLV, she began teaching middle school band at Rocky Mountain Middle School in Idaho Falls, Idaho. While in Idaho, she played in the Idaho Falls Symphony Orchestra, The Idaho Falls Community Band, and the Jazz House Big Band. She also made an album as a back up singer with country artist, Brian Morris, and performed radio jingles for local radio stations. During her time teaching at RMMHS, her groups have received superior and excellent ratings at festivals and her high school band has doubled in size. Position Statement: I am interested in joining the WMEA Board as the IN-Ovations Vice President for a number of reasons, not the least of which is simply out of a desire to serve music educators in the state of Wyoming. I believe this particular chair on the board is positioned to be able to offer unique and innovative educational opportunities to teachers in our state, both via the annual conference and other outlets. In my own career and teaching, much of my focus has been on jazz and contemporary styles, so the potential of serving in this chair is particularly exciting for me. I believe that my background and interests in contemporary music qualifies me to serve as In-Ovations VP. I personally explore a variety of teaching styles and pedagogical methods to effectively lead my ensembles and students. Attending, presenting, and performing at state music education conferences as well as ACDA and JEN conferences not only guides my own teaching but also gives me a look into what those in leadership are doing nationwide. I feel that I have a strong network of colleagues who are leaders in their fields, who I can bring to Wyoming to share their teaching strategies, knowledge, and passion for their art. I believe I can serve Wyoming music educators well as IN-Ovations Vice President. I appreciate your support and dedication to the field of music education. Brennan is the baritone and tour manager in the professional vocal jazz septet Groove For Thought. He has had the opportunity to perform on NBC’s “The Sing-Off,” open for Jay Leno, and perform throughout the United States, Canada, and Europe. Groove For Thought performed at the 2014 and 2016 Jazz Education Network (JEN) Conferences, and has performed at American Choral Directors Association Conferences, the Polyfolia World Choral Symposium, the Europa Contact Festival, the Lionel Hampton Jazz Festival, the University of Northern Colorado/Greeley Jazz Festival, the Gold Company Invitational, and many other Jazz and Choral Festivals throughout the U.S. and abroad. 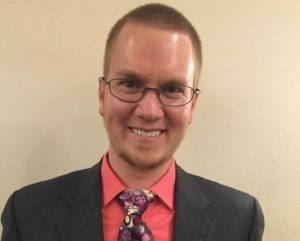 As a clinician and adjudicator, Brennan has been asked to present at the Jazz Education Network Conference, at the Washington, Wyoming, and Utah Music Educators Conferences. He has also been asked to direct numerous honor choirs and be an adjudicator at jazz festivals throughout the country. In addition to teaching and performing, Brennan maintains a busy schedule as a studio singer, producer and mix engineer, and arranger. He enjoys arranging for his own ensembles, has published several of his arrangements, and has sung on radio jingles, commercials, and other vocal projects. Brennan also assists in producing and mixing Groove For Thought videos and recordings.